Home » Featured » Toy Story 4 is Coming!!! Toy Story 4 is Coming!!! Last week, Disney•Pixar released some BIG news! Woody, Buzz, and the rest of the Toy Story gang have another story to tell. It’s not over. The story was dreamt up by John Lasseter, Andrew Stanton, Pete Docter and Lee Unkrich, the incredible storytellers who have been the driving force behind all three “Toy Story” films. Joining the project are seasoned writing pair, Rashida Jones and Will McCormack. Pixar veteran Galyn Susman (ABC’s “Toy Story OF TERROR!” and “Toy Story that Time Forgot”) is producing. 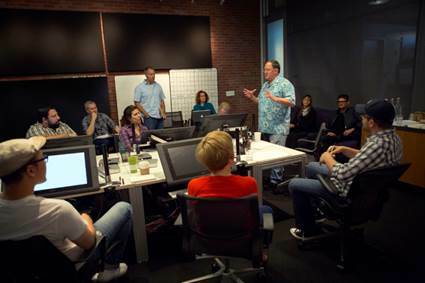 With this incredibly talented and creative team behind the film, Toy Story 4 is sure to be another epic story. Toy Story 4 is set to release on June 16, 2017! What do you hope the story will be about? Which characters are you excited to see? Leave me a comment and let me know your thoughts and ideas! See you at the theaters in…well…a few years! More details to come as I find out!